Having trouble getting your music added to playlists? HERE'S 100 SPOTIFY PLAYLISTS YOU CAN PITCH YOUR MUSIC TO RIGHT NOW! Rock, metal, blues, rap, acoustic, alternative, indie, country, folk, pop, etc. 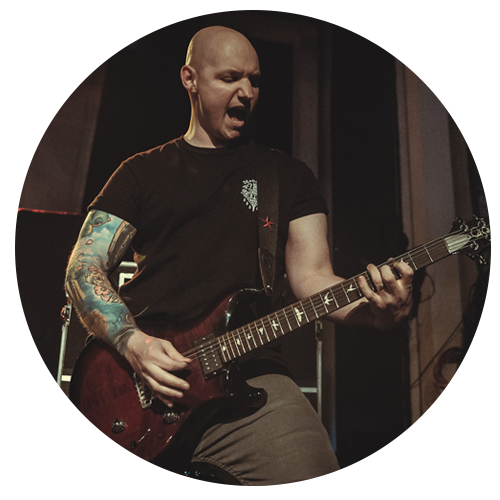 My name is Ryan Baustert and I'm the lead guitarist, and founding member of Throw The Fight. We're a hard rock band from Minneapolis, MN that's been releasing music, touring, and building a fanbase for the past 16 years. I’m focused on funneling 16 years of experience into making sure YOU succeed in the new music industry. My mailing list is free, but sometimes I will let you know about products or services I’ve created that are helpful to independent musicians and their needs. Your information will never be sold to a 3rd party and you can unsubscribe any time you choose. Copyright 2019 Ryan Baustert and Decibel Consulting & Design llc.